Previous PostHere’s how much I love my cat. Also, Iowa afterglow! The great kitty invasion of aught 8, I remember it well. Only a 1/4 yard of fabric? I might have to join you in populating the world with kittehs. It’s amazing what great space will do for you! 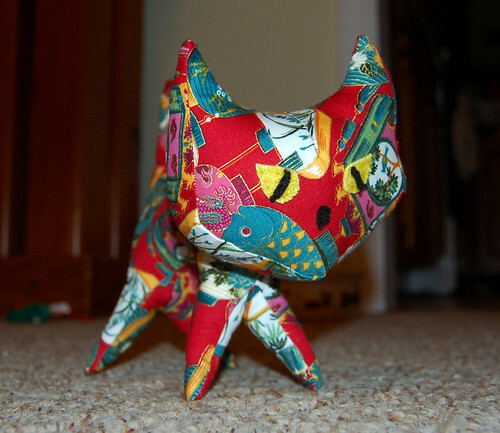 I love the pointy kitty, and for some reason I find the name “Pointy Kitty” hilarious!